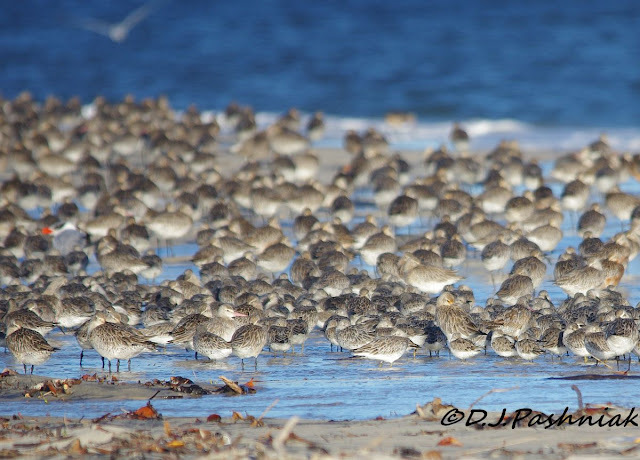 Sandy Straits and Beyond: So Many Birds! wow, they're packed in! nice shots! love that little red-cap at the end. so cute. 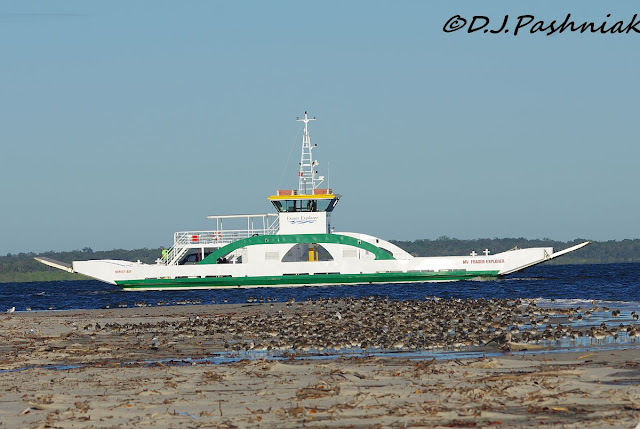 Beautiful photos, glad we managed a couple of day without rain so we could get out and see all the birds at Inskip. Great post for the day, Mick, and that is a LOT of birds! Terrific captures!! Hope you have a great week! ah, there are those little birds again - love them. so cute. Wow, that's a lot of birds! 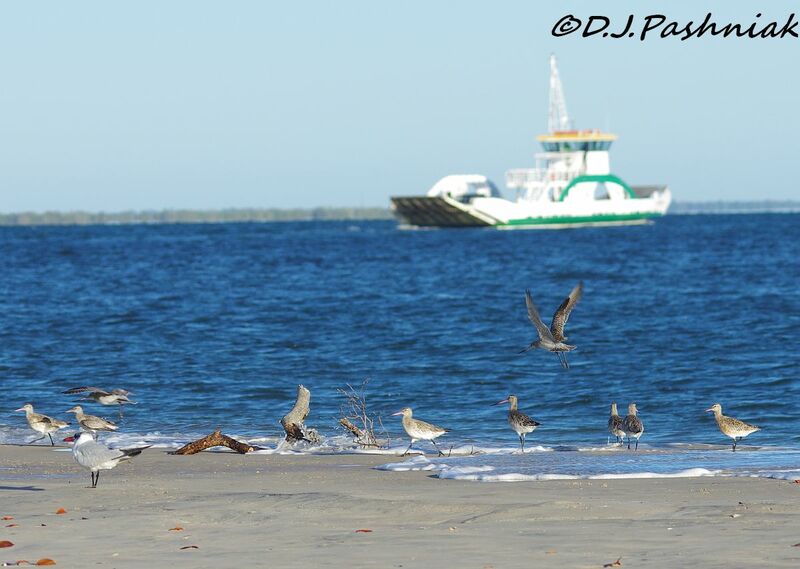 I would love to see that many beautiful birds on the beach. Your photos are awesome, as always. Love all your bird photo Mick. Rain, and more rain - we've had enough too. I guess we'll have a green winter until frosts hit. Mick, these are awesome photos. Sad to hear the one car drove straight thru and scared your flock. The Red Capped Plover is adorable. I hope the rain eases up some, the flooding sounds awful. Thanks for sharing your birds and world. Have a great week! Wow what a mass of birds!! Boom & Gary of the Vermilon River, Canada. 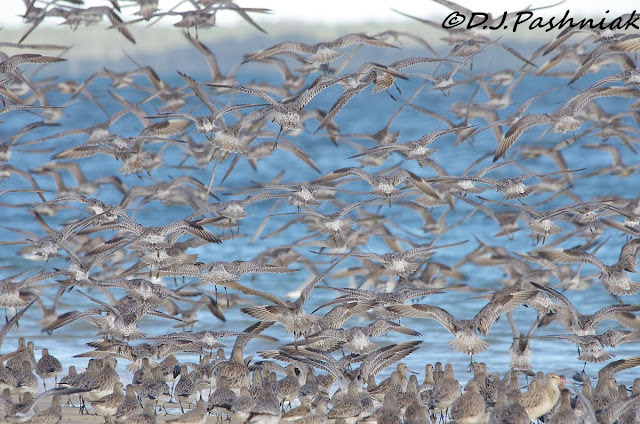 Godwits! what a great name for a bird. wonderful to see birds flourishing somewhere. Beautiful! I'm sorry the birds were disturbed, but my very favorite shot is the one where they are all flying away. Great shots, crowded but still nice to see! thanks for talking a bit about the area. Very interesting place. And so many birds. Unbeliveable. They really are packed in..and but so cute in their close ups! I really appreciated the explanation of where you are and why you have so many birds. (Always mean to do more research w mr google, but laziness takes over). You live in a birder's Paradise ( except for the too wet part occasionally). Holy Moly - that's a lot of birds! Great shots though - thanks for sharing. 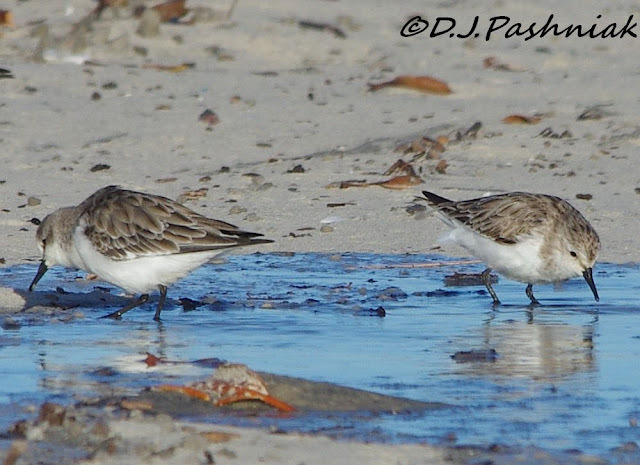 I am so impressed with the quantity of shorebirds....really a lot of them there, so nice to see as we have not had any shorebirds come in yet. Oh great shots also thanks for sharing. Thanks for the map Mick, it helps to put your sightings into the larger context and to realise you live in such a great birding spot. The Red-capped Plover is such a lovely little plover too. It's a real shame that birds in most parts of the developed world are subject to so much disturbance - and worse. Wonderful set of pictures. I got a bit excited at the flash of red in the picture below the barge - but closer examination shows it to be the bill of a caspian tern! If ever I was going to find a flag it would have been in these pictures!!! 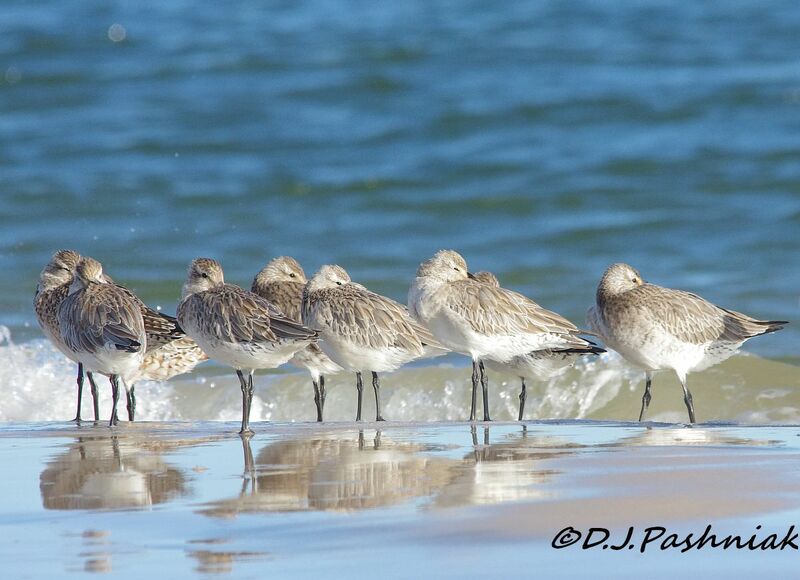 Thanks for the comment on the "pair" of Godwit. It's nice when a passerby defers to the photographer, or at least offers. Some folks have no consideration for others. 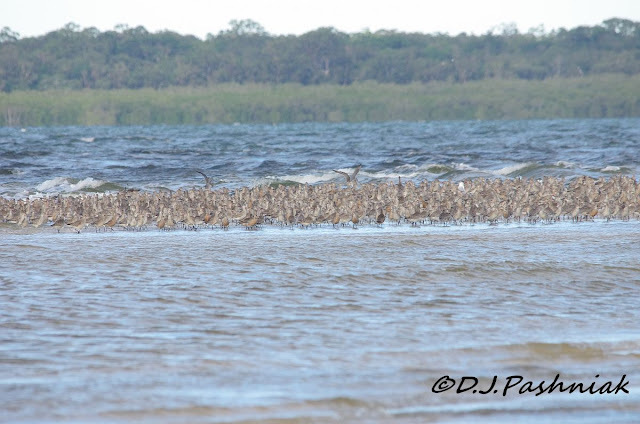 What a biomass of birds! 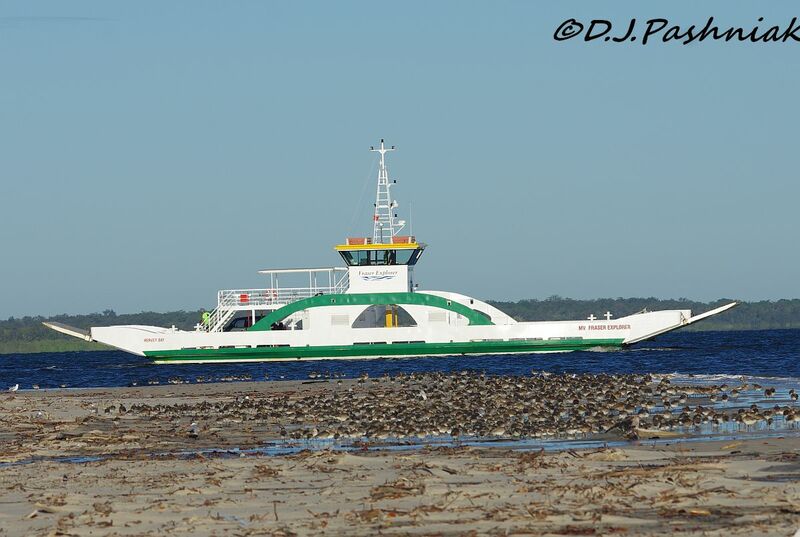 That ferry has interesting symmetry. Hope the rains let up. That was really many birds! Like the photo where a lot of them are flying up, even it's not so good for them to be disturbed. I hope it will stop raining by you now! 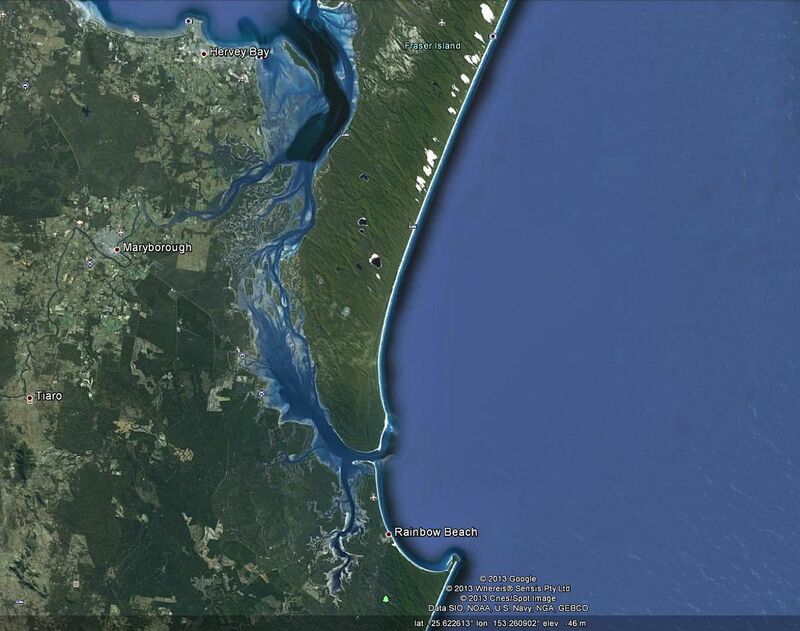 What a fabulous place you live in Mick. Superb selection of shorebirds, but that Red-capped Plover is my favourite. Wonderful photos! That is a "bird herd" if I ever saw one! Thanks for the visit to my blog, and I really enjoyed visiting yours in return! Wow, I am speechless! So many birds, and you showed us where, too. Nice touch. Great header photo. The number of birds in your shot of the disturbed flock is amazing! 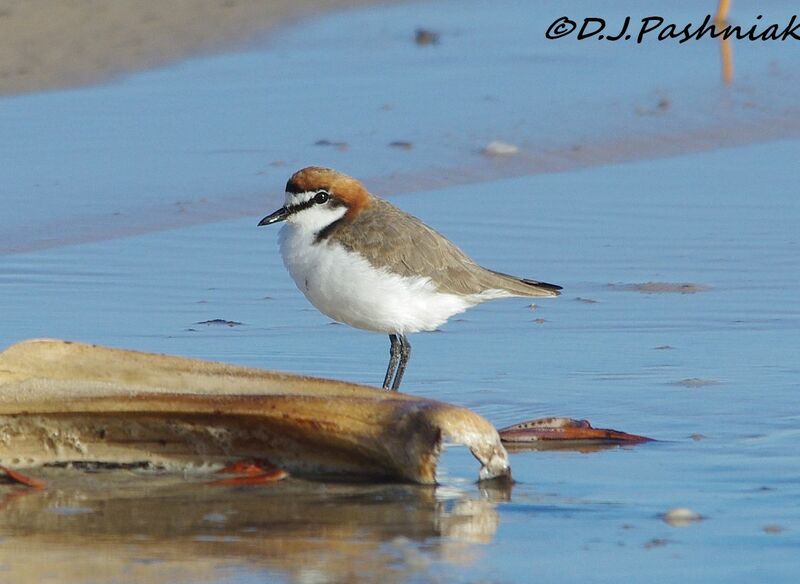 Lovely lighting on the Red-capped Plover - nice capture. Great place! I would love to see all those beautiful birds. Love your photos! It's amazing to see how these birds pack together. I guess they enjoy togetherness! Wow!! A great informative post. The birds are so packed in! !